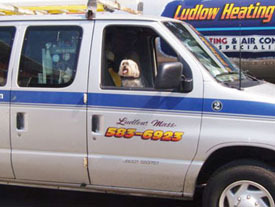 Whether it's day or night, weekend or weekday, we at Ludlow Heating & Cooling offer 24-hour emergency service to ALL of our customers. If you experience a problem with your heating system or need an emergency oil delivery on a clear day or in the middle of a snowstorm, one of our service technicians will be at your door as soon as possible. Even on holidays, we understand that emergency situations cannot be predicted and we make sure that a member of our courteous and knowledge staff will always be available to assist you! Contact us for more information on our 24-hour emergency service at (413) 583-6923!